For a boisterous months-long celebration of food and wine, visit during the Lower Austria Fall Wine Festival season and call a 12th-century monastery home. 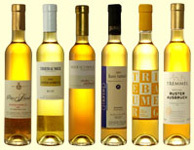 This sun-drenched region’s graceful vineyards produce dry reds, dry whites, and luscious sweet wines. Let the storied wine cellars at Esterhàzy Palace get you better acquainted. Headed to Austria, Road Trips Foodies? 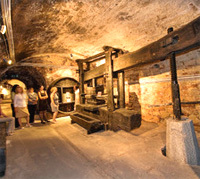 On April 19 and 20, 2013, Viennese Wine Tours will give a look behind the scenes at some the city’s leading wineries. “Grüner Veltliner is the last of the great European white wine grapes.” So observed Terry Theise, an American wine connoisseur and importer.